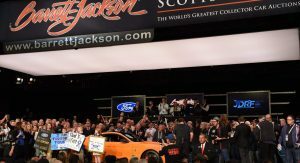 Craig Jackson, chairman and CEO of Barrett-Jackson, became the owner of the first production Ford Shelby GT500 for a whopping $1.1 million. 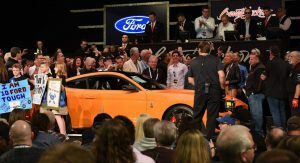 As expected, the very first 2020 Mustang Shelby GT500 (VIN 001) was the star of the auction house’s first event of the year. The really good news is all the proceeds will go towards research to find a cure for type 1 diabetes in children. The money will be donated to JDRF, the leading global organization funding type 1 diabetes research. 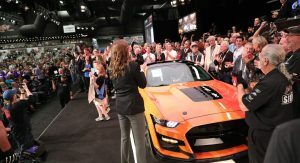 “The chance to become the owner of the first 2020 Ford Shelby GT500 cars is an opportunity of a lifetime. 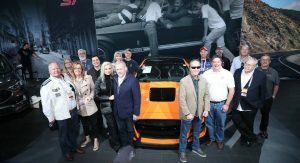 More importantly, being involved in helping to raise much-needed funds and awareness for JDRF is a big win for everyone,” said Joe Hinrichs, Ford president, global operations. The 2020 Mustang Shelby GT500 is the latest in a long line of performance collaborations between Carroll Shelby and Ford. 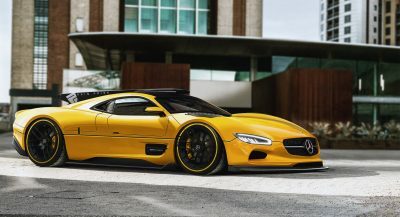 The limited-production muscle car will be available in the United States and Canada starting this fall with a supercharged 5.2-liter V8 producing more than 700 horsepower. 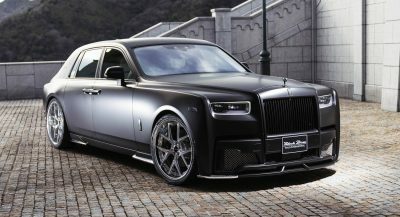 Hooked to a Tremec seven-speed dual-clutch transmission that sends power to the rear through a unique carbon fiber driveshaft, the eight-cylinder unit enables the all-new GT500 to do a 0-60 mph (0-96 km/h) in mid-three seconds and cover the quarter mile (400 m) in under 11 seconds. Good for Craig Jackson and the charity. .
Can we get the horse power and weight numbers- please! 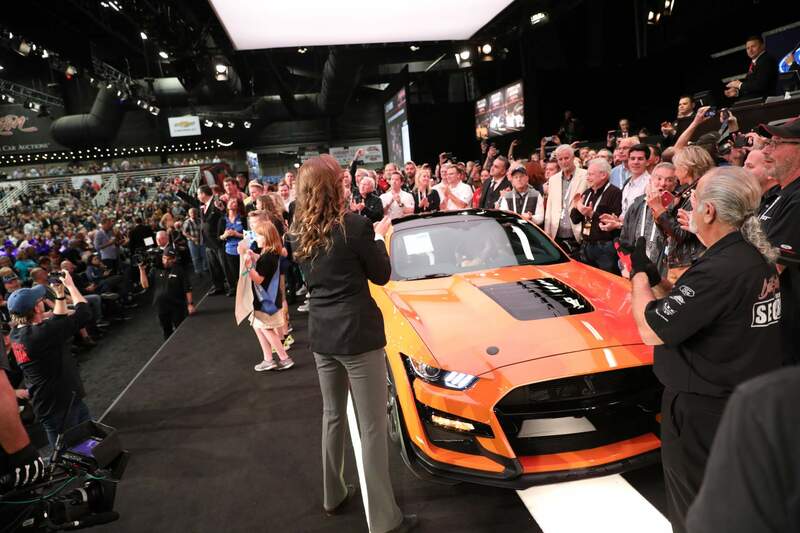 Without a manual offering the loyal mustang buyer will be disappointed. However if supply is limited I’m sure all available will be spoken for. The loyal Mustang buyer can’t afford this sports coupe. 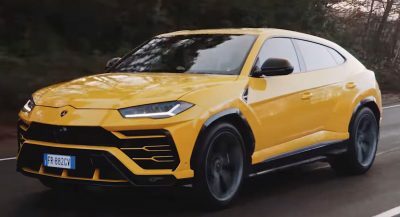 This car would roast a manual transmission. Yes. I almost always is. Oh please … enough with the manual crap STIGY!! Auctioning a muscle car off to raise money for diabetes research? How American! Miracle it made it down the stage without mowing down a row or two of people. This comment made me chuckle, thank you sir. 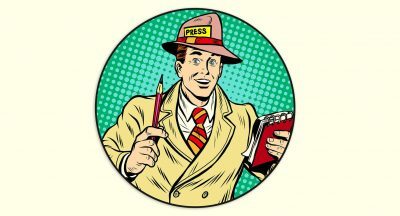 My pleasure Sirs. I never made a Mustang comment before, but this was too precious to pass up. This comment started to be classic but it still works, it still works. Doesn’t at all look spectacular in real pictures. That is way you always have to see it on the street many times before you can judge it. AS A DIABETIC I APPRECIATE THE DONATION TO THE JDRF.